This last year has been a whirlwind of activity and growth for BRD Sport. We may not have been blogging much but we’ve had our feet on the ground talking to many of you in person. It’s inspiring to hear your stories and you’ve motivated us to get back to sharing ours with you. We were so excited to be at the ING NYC Marathon expo with Kindrunner.com for the first time this year. It was great meeting runners from around the world and helping prep runners for one of the biggest races of the season. We love meeting people and answering questions in person. The past couple of years runners we’ve been asked about products for plantar fasciitis. 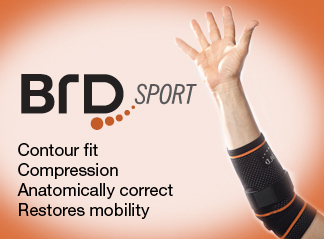 We listened and designed a new brace! Plantar fasciitis – inflammation of the tissue that connects your heel and toes – is a common injury, especially among runners. It feels like a stabbing pain in the heel of your foot when you take your first steps in the morning. The pain generally decreases during the day but will reappear after long periods of rest. Luckily, most cases can be self-treated. 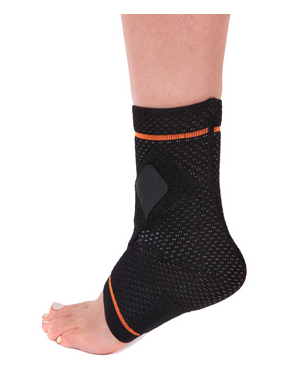 BRD Sport carries an ankle brace designed specifically to help decrease heel and arch pain and reduce inflammation. It also fits into any shoe! Doing daily stretches for your toes, calves, and achilles also helps – Runner’s World recently posted this yoga stretch said to help keep feet healthy. as do shoes with good arch support. 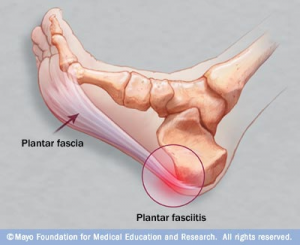 Hopefully these tips are enough to cure your plantar fasciitis but if the pain continues or increases it may be time to go to a doctor. Make sure to come back every Wednesday for our the latest nutrition tips, exercise advice, upcoming events, and more! Let us know in the comments or via Facebook and Twitter what topics you’d like us to cover and we’ll add them to the list.